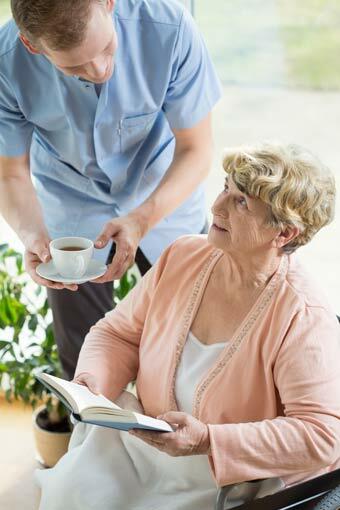 Anyone who has any familiarity with the home health field knows just how important Personal Care Assistants (PCAs) are. PCAs are a vital piece of great in-home care and, because they serve double duty as emotional and physical support for both clients and their families, they are some of the most respected and needed caregivers in the entire home health field. Sometimes called caregivers, PCAs are professionals who provide care and assistance to sick, disabled, elderly, or fragile individuals. 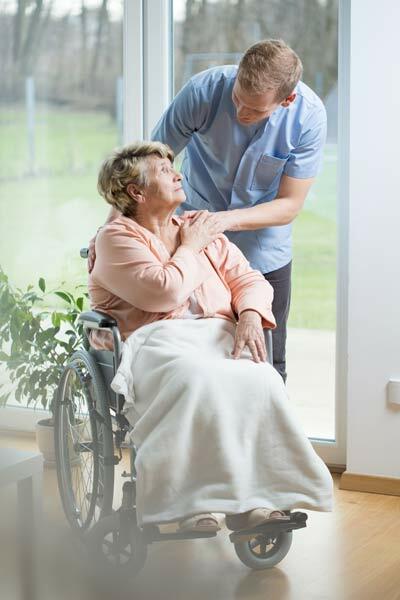 PCAs work in a home care environment and dedicate themselves to assisting individuals with daily activities such as using the bathroom, preparing or eating meals, executing hygiene and grooming habits, taking medication, bathing, and completing housework or other chores. PCAs also act as an important source of companionship for their clients and often join elderly or disabled individuals at community events or appointments, help them with arts or crafts, or play games with them. PCAs may also provide transportation, and in some cases, may live on-site with their clients. PCAs are typically hired when the needs of an individual become too much for family or friends to manage without extra assistance. Because PCAs are professional caregivers, they are able to tend to an individual’s unique needs with uninterrupted focus and dedication, which is often something busy family members and friends cannot manage in the later stages of disability or illness. Because of this, PCAs are amazingly important to both the affected individual and his or her friends or family. By hiring a PCA, families can rest assured their loved one is adequately cared for and has a compassionate, capable, trained individual around at all times. What are the Qualifications for Becoming a PCA? While there are no specific educational requirements to become a PCA, the grand majority of PCAs do have a high school diploma when they begin training. Unlike many other job fields, PCAs complete much of their training on-site under the supervision of registered nurses or other experienced caregivers. Individuals who want more training have the option of participating in certification programs offered through the National Association for Home Care and Hospice. This voluntary certification program is a great way for PCAs to gain experience and expertise early in their careers. No matter what type of training they choose to undergo, all PCAs learn how to care for clients, administer medication and perform basic CPR/First Aid tasks. In order to confirm their knowledge and prove their competency, caregivers may be asked by their employer to study for and complete a competency evaluation. Even though becoming a PCA requires no formal education, that does not mean it does not require any training. Because PCAs are asked so frequently to undertake potentially dangerous or physically stressful tasks, such as moving clients and dealing with mentally impaired individuals, they undergo extensive training before entering the job field. Again, the program offered through the National Association for Home Care and Hospice is an option, and most PCAs complete certification programs that require 40-75 hours of supervised, formal training. During their training, PCAs will learn about topics involving death and dying, physical, mental, and developmental disabilities, gerontology and general care. Students will also learn to take blood pressure readings, monitor pulse and temperature, provide basic emergency medical treatment, utilize universal precautions, administer medication, change bandages, and control communicable disease and infection risk. Depending upon the client they are asked to care for, PCAs may also learn bathing skills, sanitary housekeeping, grooming, and cooking for special diets. While every client is different, some individuals need to maintain regular, timely schedules or routines. This may mean administering medication several times a day, or following specific dietary or physical rules. Because of this, the proficient PCA must possess an unwavering attention to detail. It is obvious that a PCA needs good interpersonal skills. Every client the PCA cares for has a separate and unique set of needs, and the PCA must be able to interact well with a variety of clients, even when said clients are difficult, confused, depressed or fragile. PCAs must be sensitive, compassionate, patient, and empathetic. Being a PCA is a demanding job and caregivers must possess a formidable level of physical strength and ability in order to succeed. They are often required to move patients, assist them into and out of wheelchairs or bed, help them into the bathtub or into a car, or pick a client up after a fall. These things require strength and PCAs must be in good physical condition. Because PCAs are required to manage not only their own schedules (which may include several clients) but the schedules of their clients as well, good PCAs must have great time management skills. Their jobs often require ensuring clients wake up on time, make it to appointments, and take their daily medication, as well as making sure meals are administered on a regular basis. W hen it comes to the daily life of a PCA, the requirements vary widely. If the PCA lives with the client, he or she may begin the day by helping the client wake up, bathe, get dressed and complete routine procedures like brushing teeth and applying makeup or shaving. The PCA may help the client cook a meal or, if the client is incapable, may prepare a meal for the client, helping him or her to eat it and cleaning up afterwards. Throughout the day, the PCA may do everything from changing the client’s sheets to taking the client out to run errands, see friends, attend appointments, or engage in social activities. If the client is house-bound, the PCA may run errands for the client and will often complete the client’s grocery shopping and fill his or her prescriptions. The PCA may spend time with the client’s friends or family, or alternately, may leave the house when friends and family arrive in order to allow for private time between loved ones. In certain cases, the PCA may split care of a client with the client’s friends or family, meaning the PCA cares for the client during the nighttime hours while family members care for the client during the day or part of the day. This is very common and depends entirely upon the client’s individual needs and assistance requirements. PCAs are compassionate, generous individuals who dedicate themselves to caring for people in need. As such, PCAs are by far one of the most important aspects of the home health care field. Thanks to their far-reaching skills and highly fluid job descriptions, PCAs are an important form of mental, physical, social and emotional support for elderly or disabled individuals as well as their family and friends.